Last week, our wildlife and forest campaigners were at the 70th meeting of the Standing Committee (SC70) of the Convention on International Trade in Endangered Species (CITES) in Sochi, Russia. This is a major event in our calendar and in the world of conservation in general. Standing Committee meetings assess the progress made by countries on key issues of wildlife and timber trade, as set out in CITES. At these meetings, we persistently advocate robust measures for the protection of wild fauna and flora. This 70th meeting was a busy one with a lot to digest, so here’s a summary of the key issues with which we engaged during the week. The CITES National Ivory Action Plan (NIAP) process is an important mechanism to tackle elephant poaching and ivory trafficking. 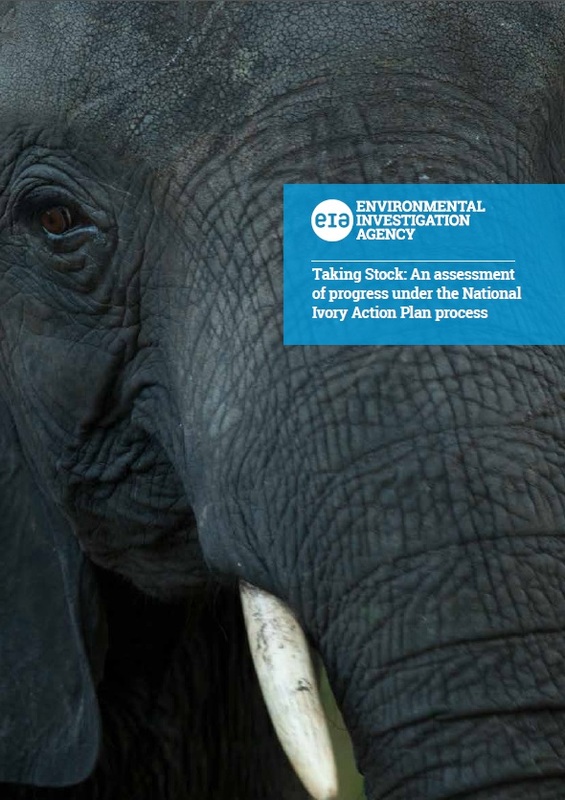 Our recent report Taking Stock concluded that much work is still needed throughout Africa and Asia to protect elephants under NIAPs so we were very disappointed when China, Kenya, Tanzania, Uganda and Thailand – who together represent nearly half of all reported ivory seizures worldwide between 2007-17 – were allowed to exit the process. While we rightly recognise that these countries have made progress, we are concerned that this decision was taken without consulting independent experts and worry that it assumes these countries have effectively solved elephant poaching and ivory trafficking. The reality is very different – Taking Stock highlighted key challenges remaining in the implementation of their NIAPs. For example, China is still one of the largest markets for illegal ivory; Kenya remains a major exit point for illicit ivory; Tanzania’s elephant population is a major source of illicit ivory; Thailand has yet to secure convictions for large-scale ivory seizures; and inadequate resources continue to hamper effective enforcement in Uganda. On a more positive note, strong interventions were made by Parties such as Ethiopia, Israel, Gabon and Niger in support of conducting independent assessments under the NIAP process, which we believe are essential transparency and effectiveness. As always, the Elephant team will refuse to let this be a setback for elephant protection and is already identifying the best way forward to strengthen the NIAP process and other CITES mechanisms to tackle ivory trade. There was widespread support at SC70 for the worldwide closure of domestic ivory markets, with Parties recognising the role they play in fuelling illegal trade and the decline of endangered elephant populations. A particularly passionate intervention by Senegal reminded the meeting that elephants are sentient beings and it is with this in mind we will continue working for their protection and tackling the challenging, and often politically sensitive, issues related to ivory trade. First, the good news – we had a big win for Nigerian and Laos forests as SC70 recommended the suspension the commercial trade in Nigerian Pterocarpus erinaceus (Kosso) and Dalbergia spp. (rosewood species) from Laos until both Parties make satisfactory scientifically based non-detriment findings for trade in these species. The revised Stockpile Verification Mechanism and Business Plan presented by Madagascar fails to resolve serious concerns raised at SC69. Fortunately, several Parties spoke out against approving the current plan, strongly highlighting the need to remove “indemnification” for timber traffickers. 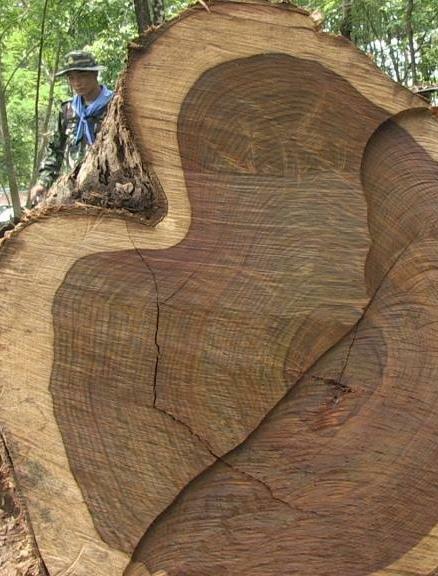 For now, it looks as if it won’t be possible to sell rosewood stockpiles of Dalbergia spp. and Diospyros spp. and so remunerate criminals. With regards to re-drafting the Dalbergia annotation, we participated in three additional working groups. Although SC70 documents indicate consensus was reached on a new draft annotation, many NGOs and range states, in particular those from South America, continuously voiced their concerns with some proposed sections. At present, the suggested annotation draft proposes excluding “Finished products to a maximum weight of wood of the listed species of 500g per item”. Our Forests campaigners worry this would create a massive commercial loophole. 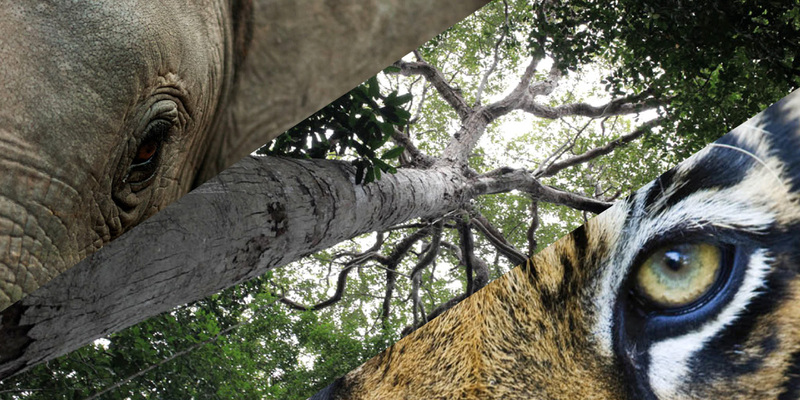 Worded as such, finished products using highly endangered tree species could be traded in unlimited quantities, so long as each piece weighs less than 500g such as light floorboards packaged and ready for sale which could be exported without CITES permits – a fundamental safeguard against unsustainable trade. The draft also proposes to exempt, in part, “Finished musical instruments, finished musical instrument parts and finished musical instrument accessories”, setting a dangerous precedent for industry everywhere. What constitutes a finished instrument part? Wooden parts could be shipped around the globe for manufacture and further processing, completely exempt from any obligation to verify legal acquisition or ensure the trees were cut without detriment. We hope to see a much stronger annotation proposed by range states before the deadline of December 2018, ahead of the Conference of the Parties (CoP) in Sri Lanka next May 2019. On Asian big cats, SC70 was presented with several important documents to consider. 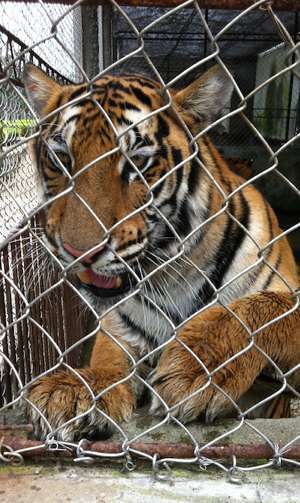 The first set out findings from a review of facilities with captive Asian big cats and identified seven countries – China, the Czech Republic, Laos, South Africa, Thailand and Vietnam – in which there are facilities of concern in terms of large numbers of tigers and/or involvement in illegal trade. Despite China and Vietnam contesting this conclusion, the CITES Secretariat stated its intention to contact these countries with details of facilities of concern with a view to looking into their operations. The next step should be a report to the next Standing Committee meeting in May, which will decide on specific actions needed. This received strong support in interventions from India, Hungary and Malaysia as well as by our partner the Wildlife Protection Society of India on behalf of us and 10 other NGOs. 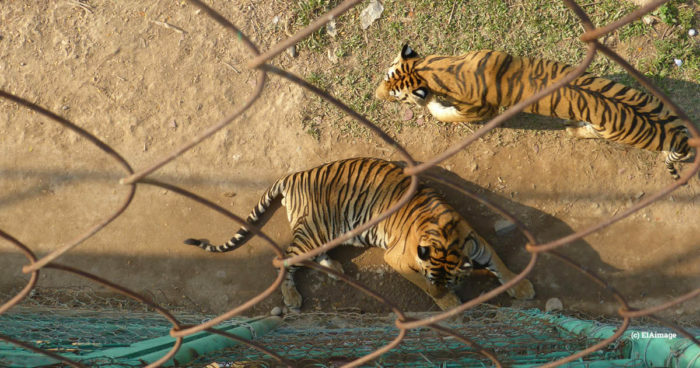 China’s statements on big cats in captivity were concerning, including the question “Why can’t tiger range states be allowed to breed tigers for trade in their parts and derivatives?” – this despite a 2007 CITES Decision that tigers should not be bred for trade in parts and products. SC70 was also presented with a review of implementation of CITES Resolution 12.5, which contains a number of directions to combat illegal trade in Asian big cats. As raised in strong interventions from Russia, India, the US and NGOs including us, the review highlights serious issues which need to be addressed through country-specific recommendations, including tackling loopholes in legislation, organised poaching and trade of big cat products on social media. Brazil and Peru expressed concern that Asian demand for big cat parts and products is now driving poaching and illegal trade of jaguars in Latin America. China – which had not responded to requests to input into the review – claimed it had concerns with the document and wanted any reference to it deleted. Our Wildlife campaigners participated in a working group to determine next steps, which ultimately decided that Parties have a month to submit additional information to the review, after which the Secretariat will draw up recommendations for Sri Lanka CoP. Later in the week, EIA also delivered an intervention on behalf of 15 NGOs, calling on Parties which seize tiger skins to share images of them with India’s central database of wild tiger images to help determine the origin of the skin, an important enforcement tool few Parties are implementing. Laos was given a brief reprieve and avoided full trade suspensions at SC70, despite serious concerns about its failure to act against the criminal enterprises running tiger farms and trafficking ivory. Suspensions on the exports of Dalbergia rosewood species continues until Laos makes scientifically based non-detriment findings. It now has until 1 February 2019 to report on progress in implementing several recommendations to be reviewed by the CITES Secretariat, which will then make any further recommendations to the next Standing Committee meeting ahead of the Sri Lanka CoP. If insufficient progress has been made, Laos could face full trade suspensions. We were extremely disappointed that the Secretariat and SC70 appeared to ignore the fact the Laos Government intends to reward the criminal enterprises which run most of the tiger farms in the country by simply allowing them to ‘convert’ to tourist facilities. One of the facilities is run by an outfit that the US Government has declared an organised crime group, involved in drug trafficking and money laundering as well as illegal wildlife trade. Another company managing two facilities is associated with ivory trade from Uganda and a third business, now split into two and managing two facilities, cannot account for the disappearance of 300 tigers in the past two years. Moreover, these farms are largely concrete compounds. It’s obvious the intention is to carry on as normal and trade tiger body parts and cubs out the back door.